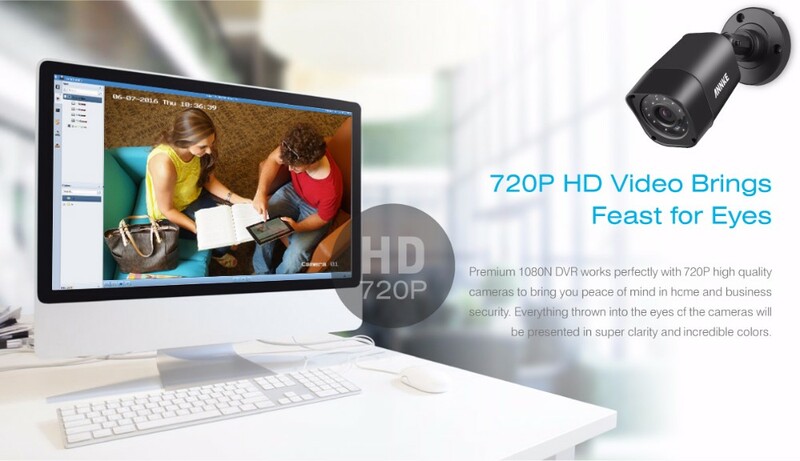 Seeing is believing with 720P HD video. 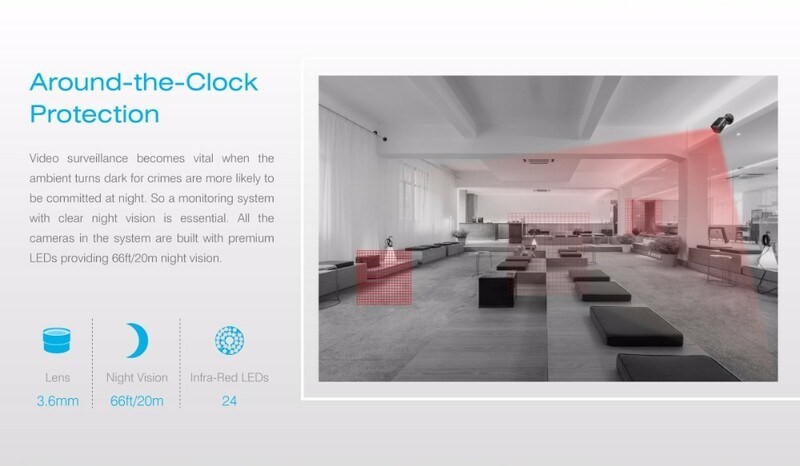 This system brings all the color back to life with its high-performance lens and advanced image processing technology. 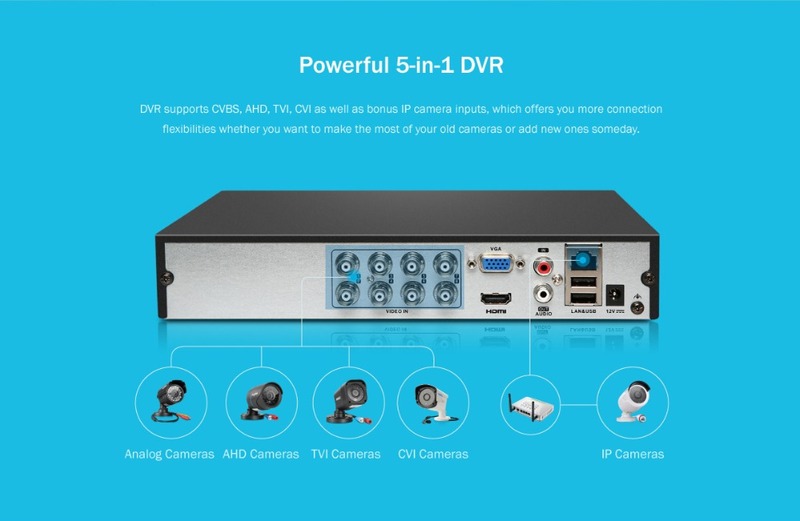 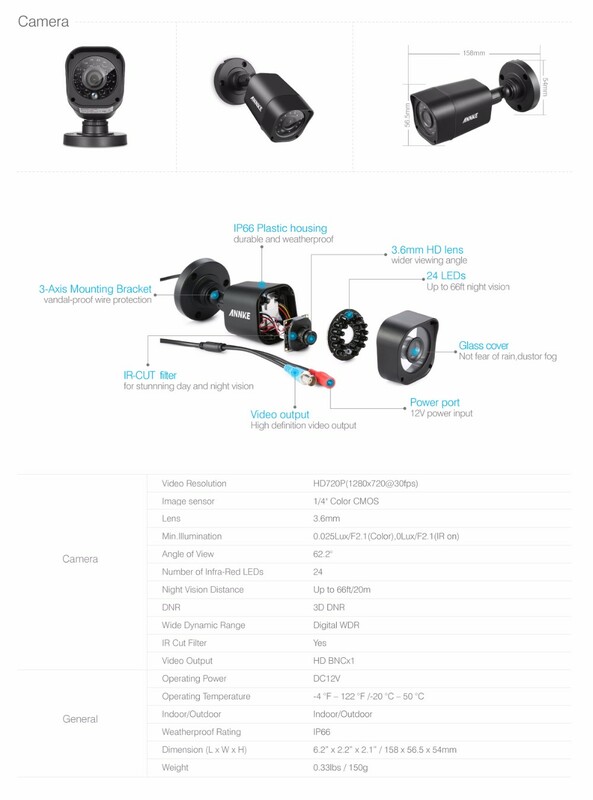 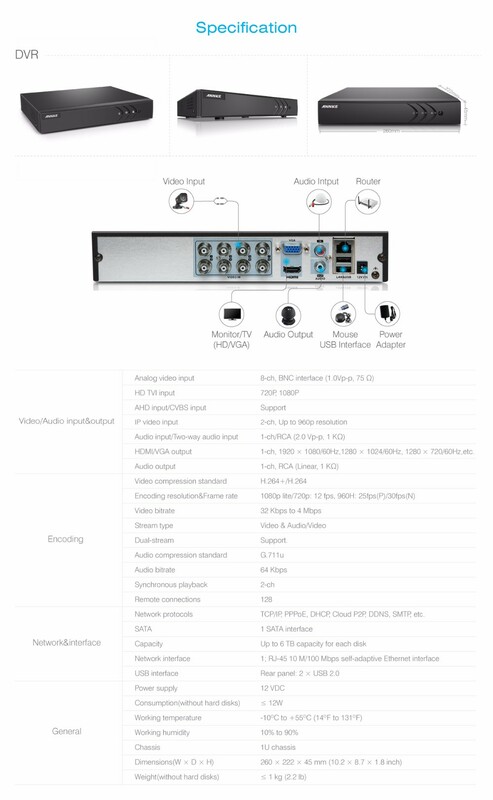 This 5-in-1 DVR supports analog, AHD, TVI CVI and IP camera connection. 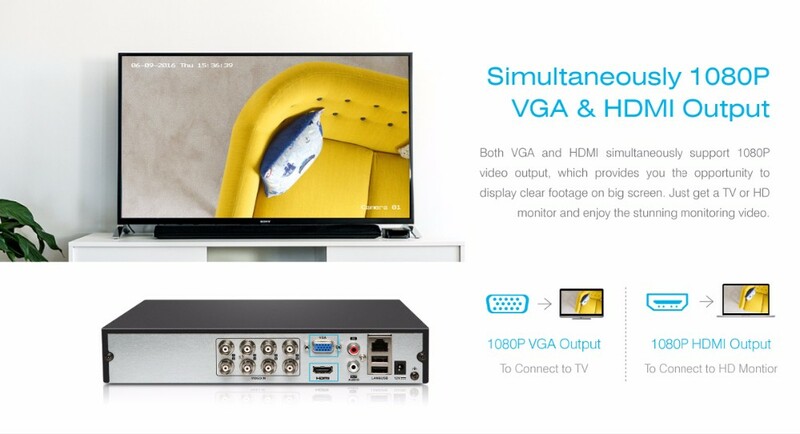 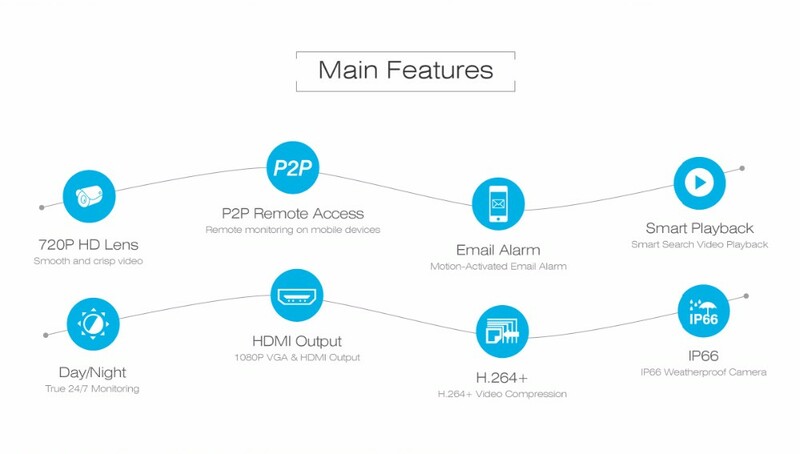 And while you are connecting analog cameras, 960P IPC is also connectable without the need to switch the mode. 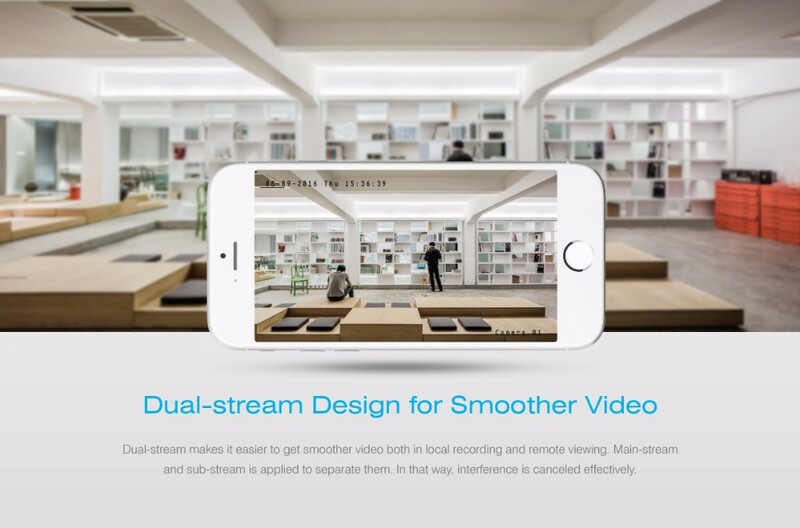 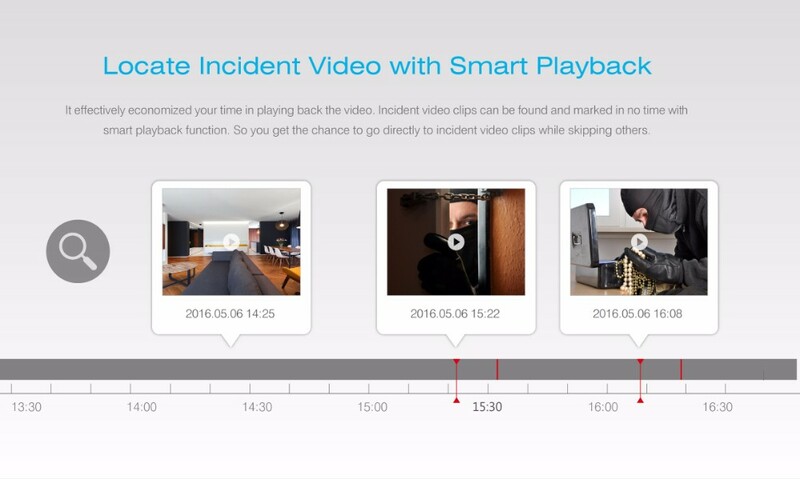 The intelligent smart playback function allows you to customize a specific searching area, then videos will be speed up when nothing happens in that region, when motion is detected, videos are played in normal speed. 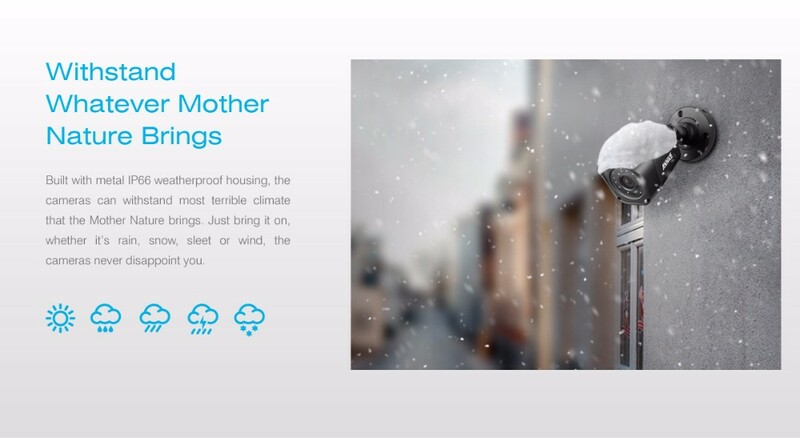 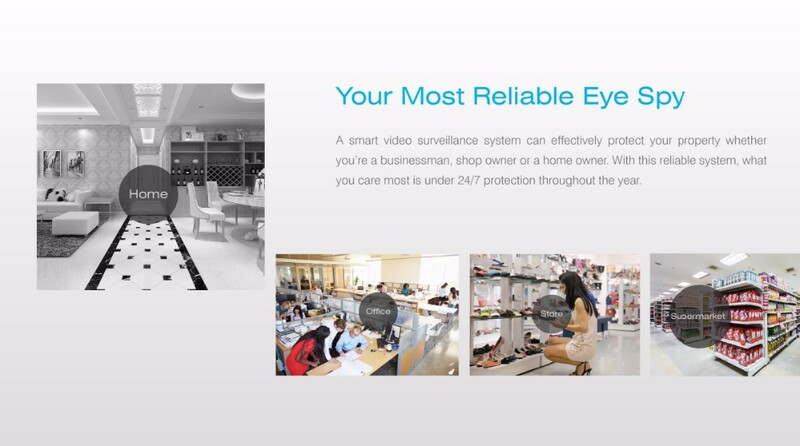 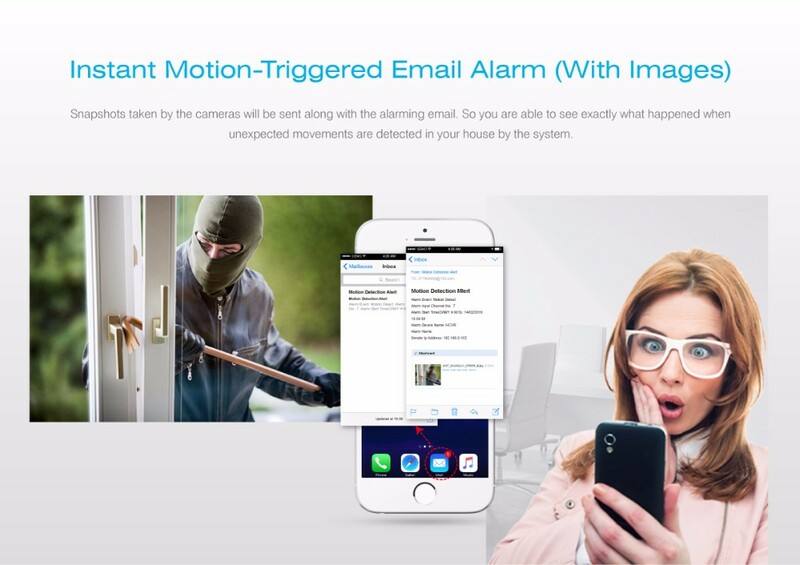 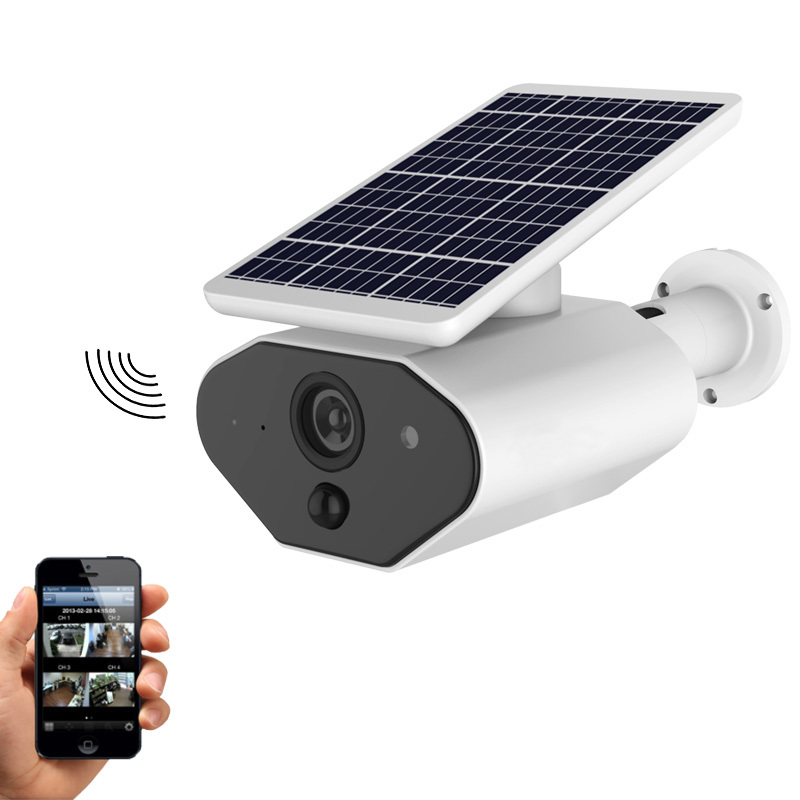 From now on, you can get alarming emails with images captured by cameras when unexpected activity is detected in your house allowing you to get everything under control by only one glimpse.